No memory review would be complete without overclocking, so we had to see what the Crucial Ballistix Sport 32GB 2400MHz DDR4 memory kit could pull off. We started off by using memory dividers to overclock and was able to get up to 2666MHz with CL16 timings with no voltage increase. We tried 2800MHz and the 3000MHz dividers, but the platform failed to post with both of those options. We then looked at overclocking with the baseclock (BCLK) and was able to get up to 2750MHz with 1.35V with relative ease. 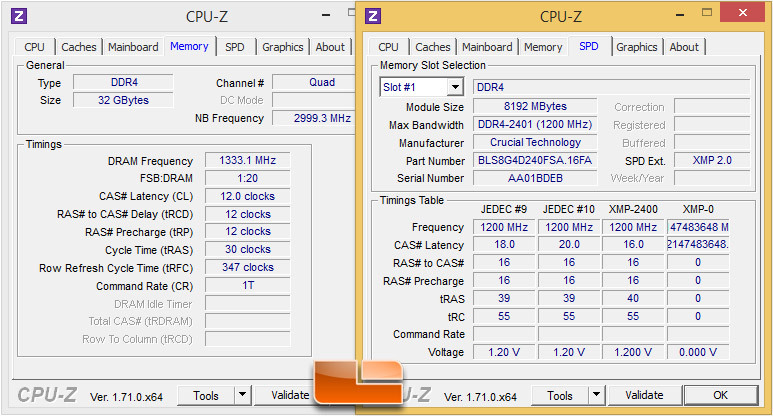 We went back to the 2666MHz DDR4 memory divider and tried to tighten the timings. We were impressed that we were able to tighten the timings from 16-16-16-39 2T all the way down to 12-12-12-30 1T with 1.35V! This is the first kit that we’ve gotten stable at 2666Mhz with 12-12-12 timings and we were extremely happy to get the timings this tight. We tried to get CL11 timings of 11-12-12, but our Intel X99 platform wasn’t having it and we couldn’t even get to the post screen on the ASUS X99 Deluxe motherboard. 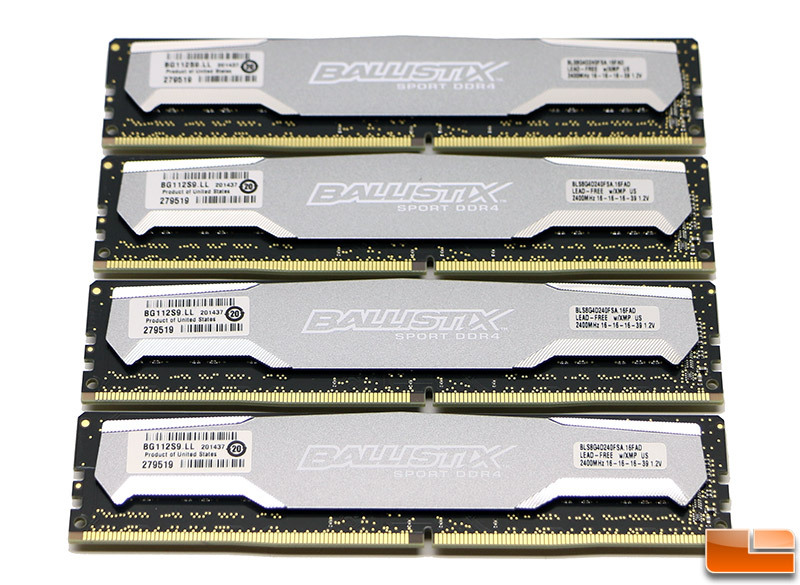 Here is a sneak peak at some performance numbers of the Crucial Ballistix Sport DDR4 memory kit running 2666MHz with CL12 timings. 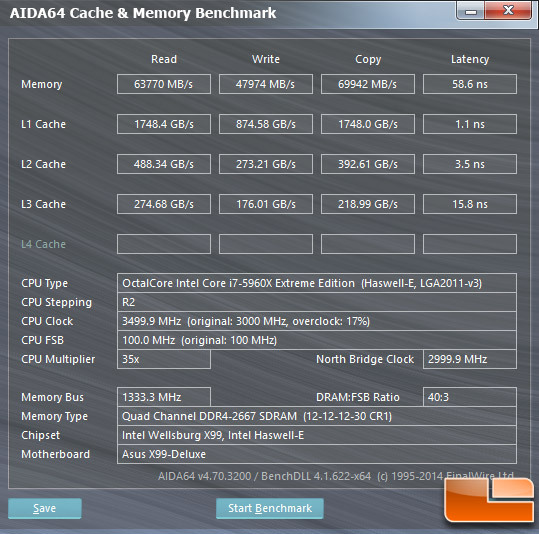 Running 2666MHz with CL12 timings is a great overclock as there are no 32GB DDR4 2666MHz memory kits with CL12, CL13 or CL14 timings that you can go out and purchase today!